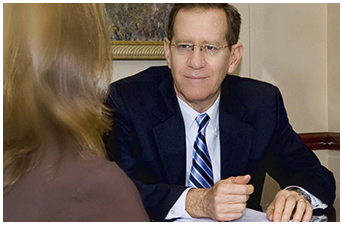 Jack Lawter’s practice has been focused on trust and estate litigation for more than 30 years. He has been listed in “The Best Lawyers in America®” in the field of Trusts and Estate Law every year since 1999 (by Woodward/White, Inc.), he has been voted a “Super Lawyer” for the years 2003, 2004, 2006-2013) (Super Lawyers is a Thomson Reuters service), and he has been named one of the best lawyers by H-Texas (2003, 2005, 2008-2013). In 2007, Jack was named as one of four “Top-Notch Lawyers” for Trusts and Estates in the state of Texas by Texas Lawyer. Jack is board certified in Estate Planning and Probate Law. Jack grew up in Oklahoma City and attended Northeastern Oklahoma State University on a football scholarship. He graduated with a bachelors of science degree in accounting and passed the Oklahoma CPA exam with one of the highest scores. He then enrolled at the University of Oklahoma School of Law, where he was a Member and Note Editor for the Oklahoma Law Review and graduated Order of the Coif. Upon graduation, Jack joined Fulbright & Jaworski in Houston, where his practice was focused in trusts and estates litigation. He practiced with this firm for 13 years as both an associate and a Partner. In 1994, he left Fulbright & Jaworski to form Lawter & Lawter. Jack has litigated numerous complex trust and estate cases in Texas, and has argued many times before the Texas Courts of Appeals and the Texas Supreme Court. He has also authored or co-authored many articles on trusts and estate litigation, and is a frequent speaker on these matters. Jack is known for his creativity, his knowledge of the law, and his ability to obtain favorable results for clients. There are few firms in Texas that focus solely on will and trust contests, probate matters, and estate litigation. Of those firms, only a very few are willing to take risks with the clients on the outcome of the case in the form of contingent or blended fee arrangements. Instead, most firms accept cases only on an hourly fee basis, which means that they are fully paid for their services regardless of the outcome for their clients. Our firm operates differently. We accept many cases on a contingency basis or a basis other than straight hourly billing. These types of arrangements allow clients to retain experienced legal counsel whom they might not otherwise be able to afford. It also assures clients that the interests of legal counsel and clients are fully aligned toward one common goal – to prevail. You may be worried about challenging the rich and powerful. Many law firms will not want to cross big banks and trust companies or wealthy individuals or they will have a conflict of interest. This is not the case with our firm. We routinely accept cases against big banks, trust companies, and the rich and powerful. When clients hire an attorney, they typically expect that the attorney whom they hire will be the one doing most of their work, and the one who will know all of the details of their case. With many firms, client matters are delegated to junior attorneys. Junior attorneys soon may be more familiar with the details of a client’s case than the senior partner who was hired. Such delegation does not happen at our firm. Our partners average more than 25 years of wills, trusts, and estates litigation experience. All clients deal with a named partner. Will contests, probate, and trust litigation are very different from estate planning practice, and from commercial litigation practices. Great commercial trial lawyers may not be the right choice for a will contest or a probate or trust case, simply because of the different subject matter and related issues that are commonly at the heart of these types of disputes. We believe that clients benefit by having an experienced lawyer in the area in which they need representation. Sometimes a well-structured settlement is better than a victory at trial. Many of our best results come from creative settlements which allow our clients to resolve their disputes. Knowledge of the probate, guardianship and trust laws and experience with complex tax matters is often necessary to achieve the best results. While we stay informed generally about complex estate planning, we do not do any estate planning or business work. We only handle trust, estate, probate and guardianship litigation and feel like our focus on this one area of practice often gives our clients an advantage. Jack Lawter has been listed in “The Best Lawyers in America” in the field of Trusts & Estates Law (by Woodward/White, Inc.) (1999 – 2013). He has been name one of Houston’s Best Lawyers (2003, 2005, and 2008 – 2013) and one of Houston’s Top Lawyers for the People (2008) by H-Texas. 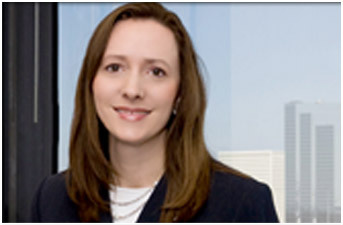 He was named as one of four “Top-Notch Lawyers” for Trusts and Estates in the state of Texas by Texas Lawyer (2007). He has been voted “Super Lawyer” for the years 2003, 2004, and 2006-2013 (Super Lawyers is a Thompson Reuters service). He has also been named “AV® Preeminent™ by Martindale-Hubbell, their highest rating, with a 5 out of 5 for Peer Review Rating. Co-Author/Speaker for the Advanced Estate Planning and Probate Course, Houston, June 15-17, 1988:"Probate and Trust Litigation: Developments and Strategies"
Co-Author/Speaker for the 1989 Wills and Probate Institute, Houston, January 27, 1989: "Developments, Strategies and Procedure in Probate and Trust Litigation"
Co-Author/Speaker for the Wills and Probate Institute, Houston, October 10-11, 1991: "Typical Evidentiary Considerations in Trying a Will Contest"
Co-Author/Speaker for the Advanced Estate Planning and Probate Course, San Antonio, June 2-4, 1993: "Fiduciary Liability--A Case Study"
Co-Author/Speaker for the Wills and Probate Institute, Houston, February 2, 1994: "Tortious Interference with Inheritance Rights"
Co-Author/Speaker for the Advanced Estate Planning and Probate Course, Austin, June 7-9, 1995: "What Every Estate Planner Needs to Know About Fiduciary Litigation"
Co-Author/Speaker for the Wills and Probate Institute, South Texas College of Law, Houston, September 28-29, 1995: "Practical Advice to the Estate Planning Attorney Concerning Fiduciary Liability and Litigation"
Co-Author/Speaker for the San Antonio Young Lawyers Association, San Antonio, March 7-8, 1996: "What An Estate Planner Needs to Know About Fiduciary Litigation"
Co-Author/Speaker for the Legal Assistant Division, Houston, Texas, October 17-18, 1997: "What An Estate Planner Needs to Know About Fiduciary Litigation"
Co-Author/Speaker for the 9th Annual Advanced Drafting: Estate Planning and Probate 1998, Dallas, Texas, November 5-6, 1998: "What An Estate Planner Needs to Know About Litigation"
Co-Author/Speaker for the Disability and Elder Law Attorneys Association Luncheon Seminar, Houston, Texas, November 15, 1999: "What An Estate Planner Needs to Know About Litigation"
Co-Author/Speaker for the San Antonio Young Lawyer's Association Docket Call In Probate Court 2000, January 6, 2000: "What An Estate Planner Needs to Know About Litigation"
Author/Speaker for the 2011 Wills and Probate Instutue- Advanced Course, Houston, Texas, February 25, 2011: "Trying A Will Contest"
Author/Speaker for The San Antonio Estate Planners Council's Docket Call in Probate Court, Estate Planning, Probate and Guardianship Seminar, San Antonio, Texas, February 10-11, 2011: "Malpractice and Litigation Involving Trusts and Estates"
Author/Speaker for the Estate Planning and Probate Drafting Course 2010, Houston, Texas, October 28-29, 2010: "Malpractice and Litigation Involving Trusts and Estates"
In Probate Court 2000, January 6, 2000: "What An Estate Planner Needs to Know About Litigation"
Co-Author/Speaker for the Advanced Estate Planning and Probate Course, Houston, June 15-17, 1988: "Probate and Trust Litigation: Developments and Strategies"